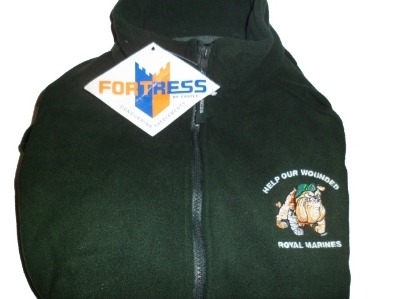 Support 'Help Our Wounded Royal Marines' by proudly wearing one of our high quality fleeces. Our fleeces feature the HOWRM embroidered logo on the left breast. Simply select your desired size and colour from the drop down menus and add to your basket.